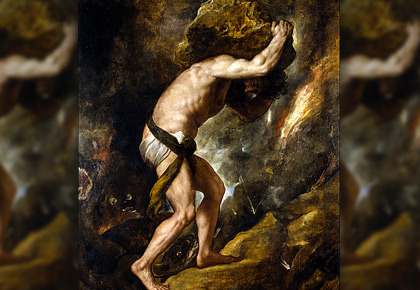 Marketers are required to be more Sisyphus than The Vitruvian Man, says Bharat Bambawale. 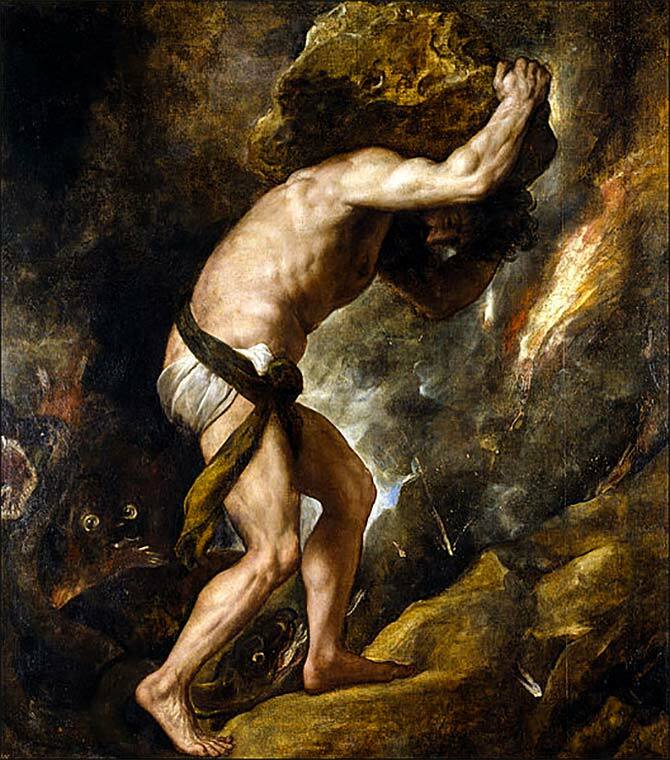 According to Greek mythology Sisyphus was doomed to carry a rock uphill time and again, only to have it roll back to the ground. The author likens the vagaries of marketing to this legend. Business leaders would like nothing more than perfect marketing systems. Smooth, efficient, predictable; delivering a specified output against a specified input. If 'production' can achieve this, raising the bar on quality while reducing material consumption and wastage, why can't 'marketing'? Even as marketers strive to create and maintain an order that is perfect, they rarely get there. Marketing tends to be messy, confounding and with a natural entropy that can be alarming. Just when you hit a purple patch, unforeseen events occur. Marketing perfection is fragile and illusory -- when everything seems to be going right, everything needs to change again. Mankind overcomes staggering unknowns and achieves startling perfection in certain spheres. We need to look no further than NASA's spellbinding Cassini Mission. A group of outstanding men and women sent a spacecraft on a remarkable interplanetary journey covering 7.8 billion km. Launched on October 15, 1997, Cassini's mission ended on September 15, 2017 with a deliberate plunge into Saturn's atmosphere. Cassini collected and transmitted data until the very last seconds of the mission, telling us more about Saturn than we've ever known. If we can do that, a business leader may well ask, why can't we do better on the infinitely smaller scale of marketing? The principal reason, unfortunately, is us. Marketing is ultimately about people and relationships and these are unpredictable and messy. People, even those with apparently calm exteriors, are anything but stable. A lava of ideas, impressions, desires, afflictions, attachments and perversions churns inside us. Sometimes it seeps out, other times it erupts. Leading us to the products we buy from the brands we admire. And because people never stay still, relationships never stay still. Look under the surface of even the most successful marriages and you will find a lifelong management of the relationship by both partners. Unlike a marriage the consumer-brand relationship is not an equal one, with the brand having to do the heavy lifting. Then there is competition, of course. The obvious and the unseen. The mobile phone is ringing the death knell of more traditional businesses than their category competitors. Look at music: the CD store is extinct and streaming services grow every day. Neither the declining business nor the emerging one can survive with marketing inertia. Leonardo da Vinci's Vitruvian Man, drawn in 1490, is widely considered the most perfectly proportionate representation of the human male. It has remained largely unchallenged and unchanged for over 500 years. Sadly, modern day marketing has no such luck. It faces what seems to be a situation more like the myth of Sisyphus, doomed to carry a rock uphill time and again, only to have it roll back to the ground. Unlike Sisyphus, who was condemned to this fate, modern-day marketers must learn to enjoy their quest as a mountaineer does his climbs -- even when time at the summit is all too ephemeral. The author is founder, Bharat Bambawale & Associates.